Deck the halls: but watch out for ticks! With Christmas just around the corner, it's time to spruce up our homes with some festive decorations. Using real foliage like holly and ivy to make a beautiful wreath or mantelpiece decoration can look amazing. 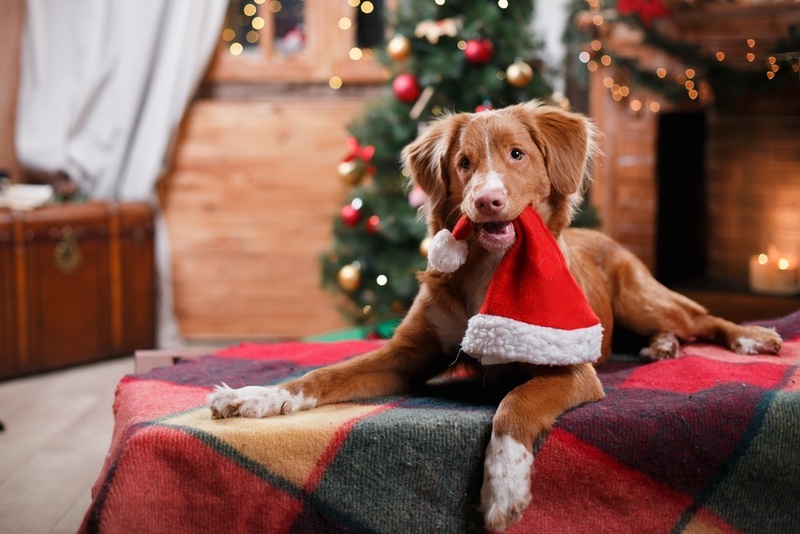 You can also combine foraging for foliage with a dog walk so that your four-legged companion can enjoy some Christmas fun too! This is a lovely idea and many families still do this as part of their festive tradition. Just be aware that due to climate change and milder winters, ticks that should be inactive are staying awake and may still be lurking hidden in hedgerows, grasses and dense undergrowth. You can guarantee that the perfect piece of holly with red berries on it is bound to be off the path, and you could find yourself knee deep in dense undergrowth with your pooch - a perfect opportunity for waiting ticks to latch on! To protect your dog this Christmas make sure that you check them over thoroughly after you return from your foraging walk. Pay particular attention to around their head, the inside and outside of their ears, between the toes, under the ‘armpits’ and in their groin – these are all places ticks love. If you do find any ticks on your pet, you will need to carefully remove them with a tick remover as soon as possible. Remember that even if you don't spot any adult ticks there could still be tiny immature ticks on your pet that will be very difficult to see. Therefore, to ensure that you keep protecting your pet apply FRONTLINE® Spot On or FRONTLINE® Plus regularly this winter.